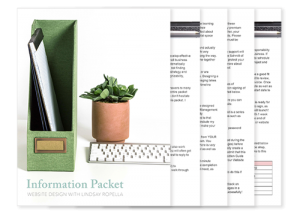 Please be aware that this is a micro-site for Lindsay Ropella, available while the full version receives a facelift. Check back for the live site in June. 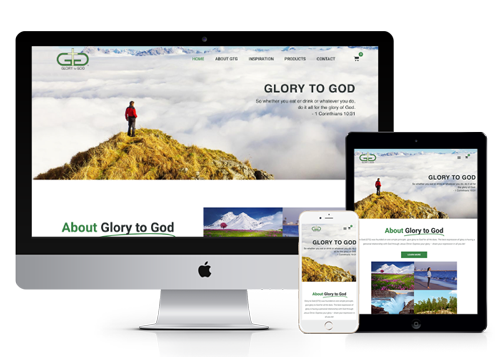 Helping Christian Entrepreneurs ditch the DIY and better their business through strategic branding and result-driven website design. Options ranging from logo only packages to a complete brand standard — we know for an entrepreneur's unique business one size DOES NOT fit all. 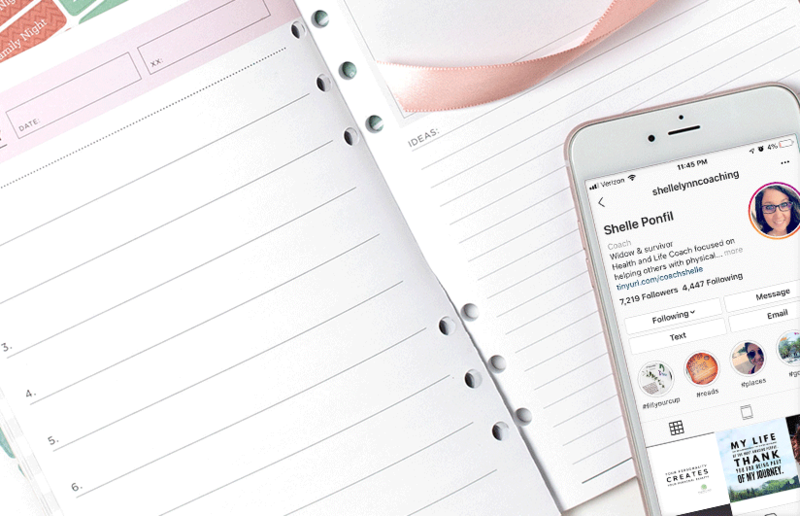 A completely custom WordPress design built for both beauty and braun — because what good is a website if it doesn't help to get you results? 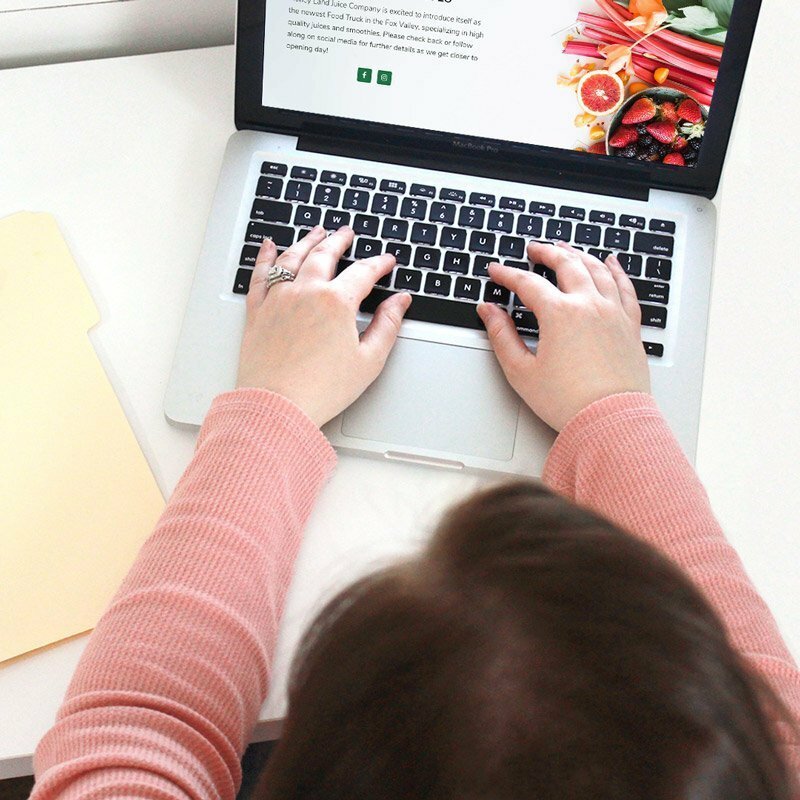 Choose from a menu of digital marketing options to help move your business to the next level — from SEO support to social media strategy, I've got you covered. One-on-one consultations are perfect for entrepreneurs looking for additional support in the areas of website management, email marketing, and more! When asked, most business owners admit that a great logo is the one marketing tool they are most willing to pay for in their business. But what makes a logo “great” — and where do you even start searching with all the option (and price points) out there? Know that when you choose a designer, you aren’t just paying them for their ability to use design software. You are in paying for their ability to research your target demographic, to find out what moves them to action, and to apply design principles in a way that accurately represents the heart of your business. A great logo is one that is versatile enough to be used across various platforms and timeless enough to remain relevant for years to come. If you’re designer isn’t doing all of this for you, you’re wasting your money. Request the information packet further down on this page and see if I may be the right brand strategist for you. To start an inquiry, go ahead and request the Information Packet at the bottom of this page. Your responsibility is to look this over in its entirety and to determine if I will be a good fit for you and your business. If you’d like to move forward, please contact me (steps outlined at the end of the packet) to schedule your complimentary 30-minute consultation. We will discuss the overall needs for your project and what your goals are for your new brand identity. After our call if I also determine us to be a good fit for working together, you will receive a proposal for your specific project to review, discuss, and accept. Upon your acceptance, you will receive a contract and your initial invoice. Once I receive your signed contract and paid initial invoice, I will send you all the forms for you to complete through your Client Portal. You will have up until our official project start date to complete these items (typically around 2 months). A complete list of your responsibilities as the client can be found in my Information Packet below. We will use the first phase of your project to perform some industry research, to dig deeper in to your niche, and to learn a little bit more about your target demographic and what type of design they best respond to. During this phase we will also hold our official Discovery Meeting to go over your Client Intake Form and design preferences. During the second phase of your project I will begin to mock up your logo options and any coordinating brand materials for your review. This phase lasts anywhere from 1-5 weeks depending on your selected package. During the final phase of your project, we will go through your design elements and make any changes necessary to get you to your desired final project. Once you are over the moon with your Brandy Identity, I’ll go ahead and send over your final files as well as a personalized video walkthrough explaining exactly how and when to use each file type. I hate spam too so I'll only email you once a month with useful information related to current pricing specials, package updates, new services offered, and industry tips and "best practices" for running the digital aspect of your business. "Lindsay has been a lifesaver! I am a young chiropractor, working on my startup clinic; and with all the excitement that comes with this process, so many tough decisions come right along with it. Lindsay was my "Go-To-Gal" for setting up my business' logo, design and brand. Wow was she great to work with! She paid attention to every detail we discussed throughout the whole process, and really helped give me an understanding to my business and its vision. I am so thankful for her support and guidance through this journey. I would recommend her to anyone looking for the same attentiveness and detail oriented work! " Look, I get it. Websites are expensive. And so is running your business. So with all the DIY options out there, why shell out your hard-earned cash for someone else to build it for you? Answer. Because the goal for your website shouldn’t be to simply create a “pretty digital footprint” — websites that aren’t put together with any sort of strategy tend to just sit on the interwebs taking up space and collecting dust. Harsh, but true. If you are SERIOUS about growing your business, pulling in new clients, and locking down sales, then you need someone who understands function of design, conversion strategies, and how to get your website seen amongst all the noise. That’s why I design websites for beauty and for braun, by combining strategy, design, and your personal business goals in such a way to make your website actually WORK for you. Ultimately, it’s like this…just because you can cut your own bangs, doesn’t mean you should. Request the information packet further down on this page and see if I may be the right strategic website designer for you. To start an inquiry, go ahead and request the Information Packet at the bottom of this page. Your responsibility is to look this over in its entirety and to determine if I will be a good fit for you and your business. If you’d like to move forward, please contact me (steps outlined at the end of the packet) to schedule your complimentary 30-minute consultation. We will discuss the overall needs for your project and what your goals are for your new website. Once I receive your signed contract and paid initial invoice, I will send you all the forms for you to complete as well as all of my help guides through your Client Portal. You will have up until our official project start date to complete these items (typically around 2 months). A complete list of your responsibilities as the client can be found in my Information Packet below. We will use our first official week together to review your forms and assignments, and hold our official Discovery Meeting to reexamine your needed functionality and design preferences before starting your build. During our second week together I will set up the entire functionality of your website. From creating your site with your hosting provider to setting up your business email addresses, I’ve got you covered. These are the weeks I get your entire website framework set up from a technical standpoint. It’s a week for you to just sit back, relax (or you know, live your life) and rely on me to carry the brunt of this week’s responsibilities! During this week you will be responsible for reviewing and providing edits for your homepage as well as the overall design structure of the website as a whole. While you are completing that task I will be building out all the interior pages of your website. During weeks 6 and 7 you will be given some time to review the interior pages of your website and provide any edits you’d like made. Believe it or not at this point your website is almost complete! I will just use this time while you are editing to add in any remaining functionality needs or third-party integrations such as your email list, scheduling software, etc. This is it…the final countdown! During this week we will prep your site for launch — this is your last opportunity to look your site over and request any final tweaks, and I will comb through your site testing links, responsiveness, and making sure everything is ready to go live. Your site is officially launched (and without a hitch, NASA would be proud)! I typically launch websites on a Sunday evening, and we will schedule your website training session for the following Monday. During this week I will keep an eye on your website, and offer free technical support for any hiccups that may arise. 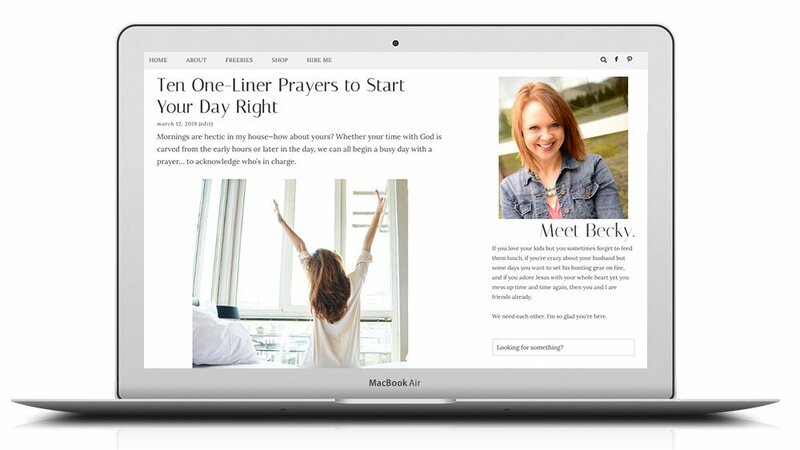 "I had a concept and framework for a Christian lifestyle e-commerce website but needed it to be done in less than 10 weeks. Lindsay addressed the challenge head on — she took the vision and concept and made it so much better than I could have ever imagined. The website speaks for itself...it's a great consumer experience and represents the brand equity perfectly. Lindsay was on top of every detail and communicated very effectively. Her passion for my vision was as if it was her vision as well." As an entrepreneur, you wear a lot of hats. So many, in fact, your head can often start to spin from all the weight. You know you can’t be an expert at all the things, but you are getting sick and tired of having to Google every little thing that falls outside your natural skillset. That’s where I can help. Go ahead and take off your digital marketing hat and give it to me — I got you. Whether it’s providing some initial set-up services or a more ongoing support-style relationship, I can take at least one responsibility off your plate and allow you to focus on the business tasks that you enjoy (or at the very least are good at) and give you back a lot of your time (and a little of your sanity). Customized SEO optimization for WordPress websites including Google Analytics and Search Console verification, Google search results text and keyword setup, XML site map submission, and more. Optimization of your Instagram, Facebook, and Pinterest profiles to leverage all the functionality of the platforms, optimize your content for your target demographic, setup key features, and more. Strategizing and implementation of a simple marketing funnel to attract the attention of your target demographic, get them to sign up for your email list, and prime them to start purchasing with you. SEO optimization of your individual WordPress blog posts through the use of the Yoast SEO plugin to create Google search results listing and leverage targeted keywords. Ongoing consulting to strategize your monthly social media calendar based around upcoming launches and targeted business goals. Includes growth tips — does not include platform management. Ongoing management of your social media platforms including calendar strategy, content and imagery creation, post publishing, and managing follower engagement. "Lindsay is an absolute delight to work with. She has been a tremendous help in growing my social media presence and guiding my ministry expansion efforts. Lindsay knows her stuff! She offers hard-to-find expertise in a variety of online strategies and design, she stays on top of the latest trends and advances, and she has a very keen business sense. Best of all, she is friendly, real, and encouraging. I can't recommend her enough. Lindsay, you are a blessing to me!" How do you make your social media channels work for you, and convert admirers into active clients? What role does an email list play in your specific business, and how often should you be emailing them anyway? How do you create systems in your business to better automate processes and manage your time? These are all valid questions that can be quite confusing if brand strategy isn’t your forte (we can’t be experts at everything, right?). Unfortunately though, you realize that ignoring these areas of your business doesn’t make them go ahead, and can end up actually hurting your long-term success. Fortunately, I nerd out over this stuff! So ask me your questions, pick my brain, and allow me to provide some clarity and direction to your brand strategy. Choose from one of three consulting options below. You will then be redirected to my booking page. There you will see three tabs at the top of the page…the system will guide you through these. The first tab will allow you to choose your consultation date from a list of available times. After choosing your date and time you will be redirected to the next tab where you will be asked to fill out a short form. The information you provide will give me some information I will need before our consultation begins so that I can prep accordingly. Finally, you will be taken to the payment page where you will pay for your consulting session to secure your time spot. How Do I Know What Option to Pick? 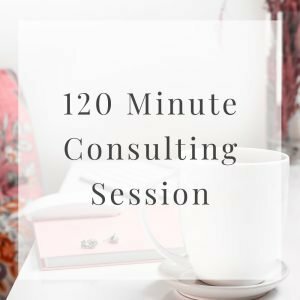 The length of the consulting session you need will depend on how many topics you’d like to cover during our time together. I typically say that, as a guideline, 1 topic takes about 20 minutes to discuss (with more complex topics taking up to 30 minutes). Collect a list of what topics you’d like to talk with me about and then multiply that number by 20…that’s how many minutes you will need. Still stuck? Don’t hesitate to contact me and we can chat about your specific needs and what option would be best for you! After booking your session, you will receive a confirmation email letting you know that your spot was secured and inviting you to add our consult to your preferred calendar. Shortly after that you will receive a second email containing a link to our consultation on Zoom (hosted Video Calls). You will navigate to this link a few minutes before our consultation is scheduled to start and follow the instructions provided there. At the start of our consultation time I’ll jump on the video call with you and we will get started! Through Zoom we will have the ability to see and hear each other clearly, as well as to share screens to go through the application of any specific questions you may have. I highly suggest having a notepad and pen ready to take notes! A recording of our session will be available for 7 days following our consultation for you to look back and review any pieces we discussed. What Happens After Our Consultation? 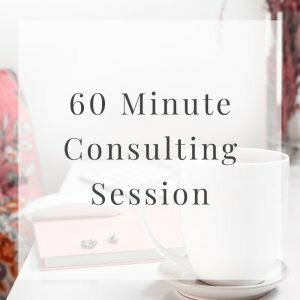 After our consultation you will receive a “thank you” email from me with links to any resources I may have said I would send you, as well as a link to your recorded consulting session on Google Drive. This link will be live for 7 days for you to look back on any pieces we may have discussed during our time together. If after your consulting session you decide to go forward with hiring me for a related service (certainly not required, but is an option some clients choose), you will receive a quote from me for that service as well. 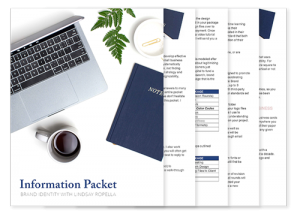 "When I met with Lindsay I was looking for general advice on how to get started with my coaching business. Meeting with Lindsay gave me a great starting point — she broke things down and gave me a great way to look at things for how to process and work through getting my business started, as well as the steps for conquering a website, blog, and social media. I am so glad to have met Lindsay; she is wonderful to work with and I would highly recommend her to anyone!"